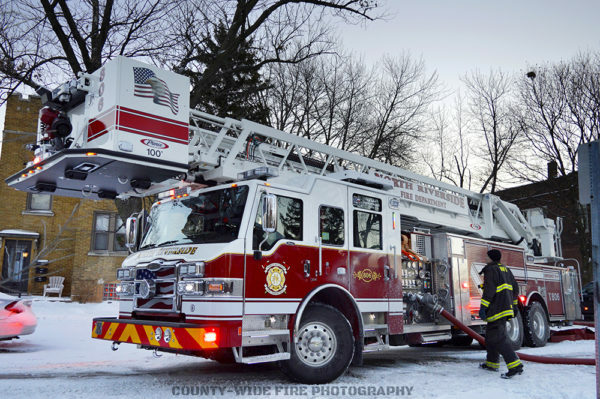 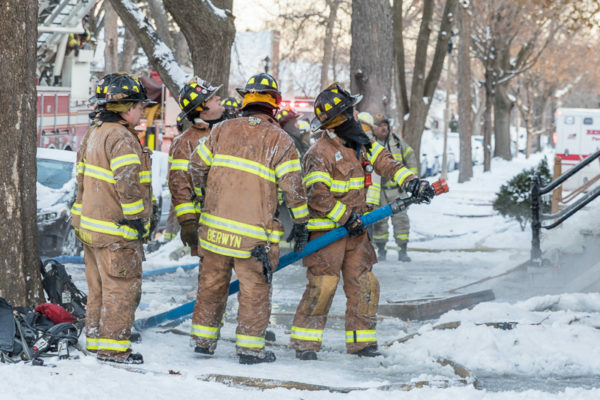 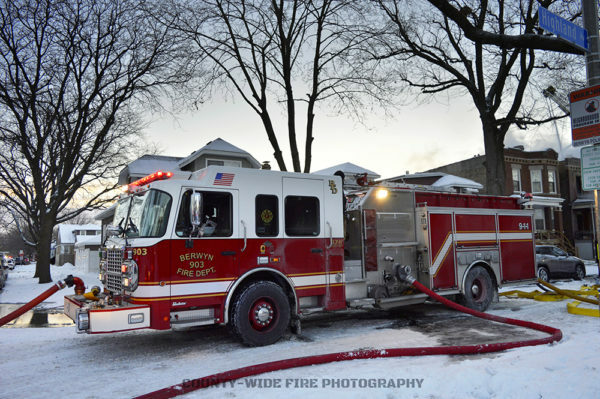 A 2-Alarm fire in a Berwyn, IL two-story, multi-unit residence in frigid temperatures Sunday 12/18/16. 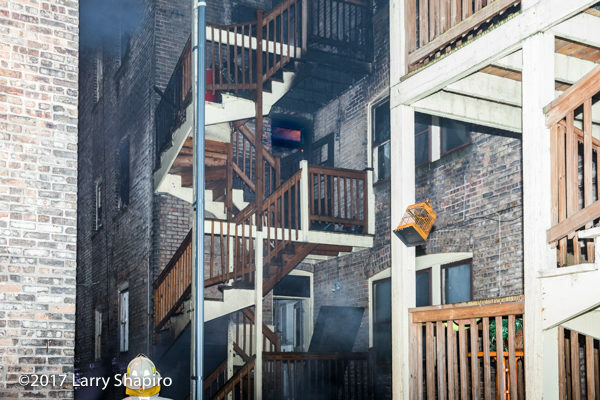 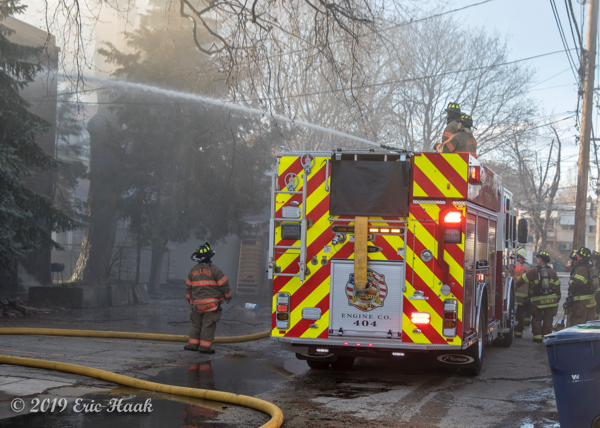 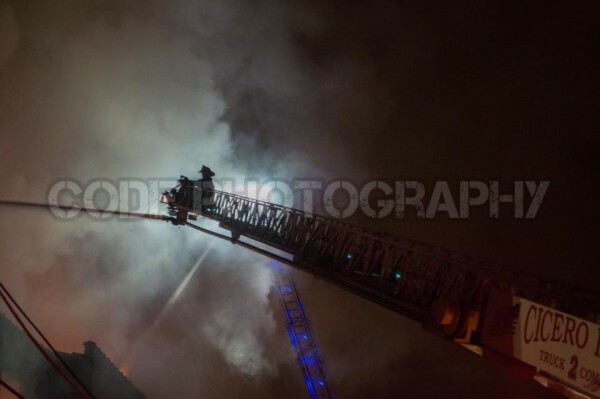 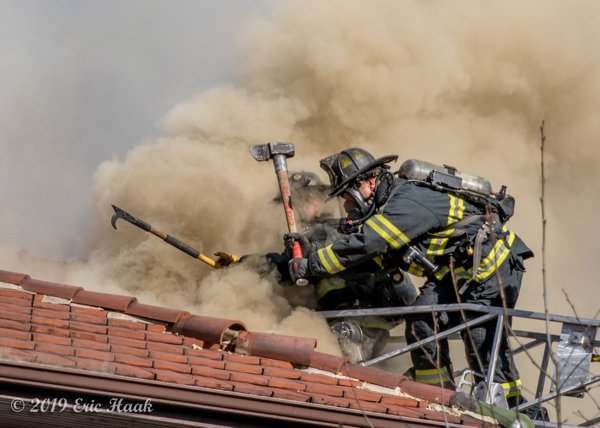 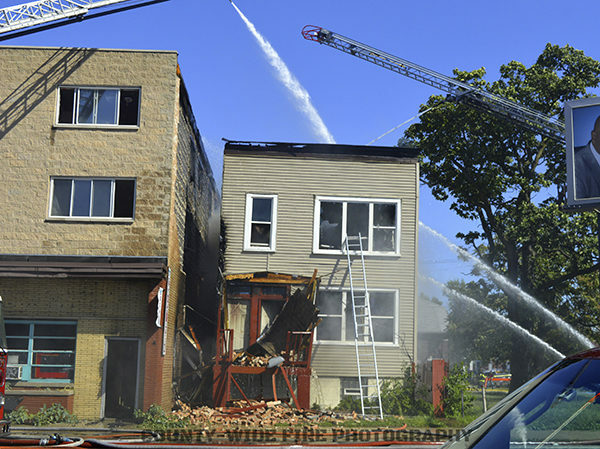 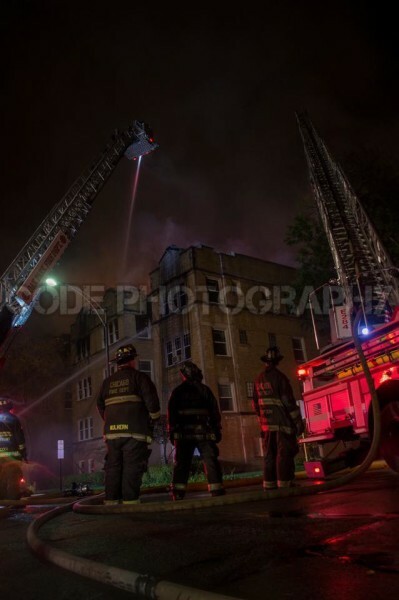 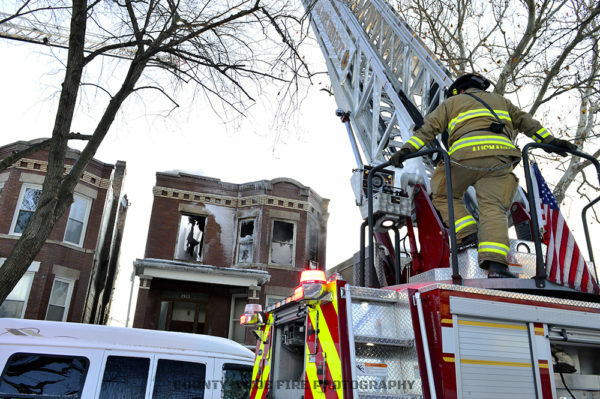 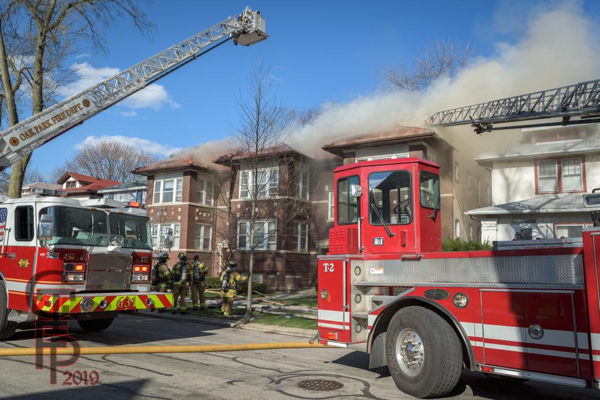 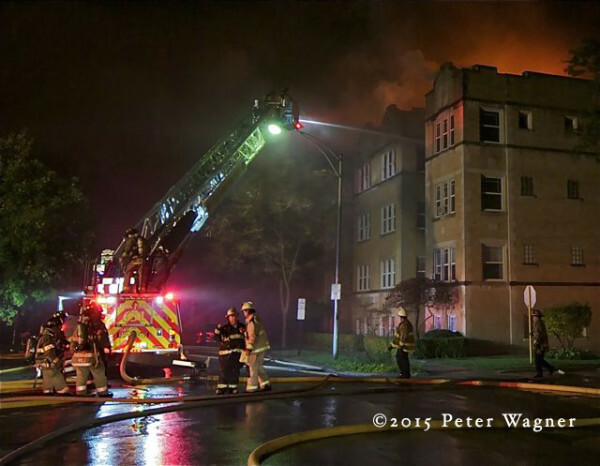 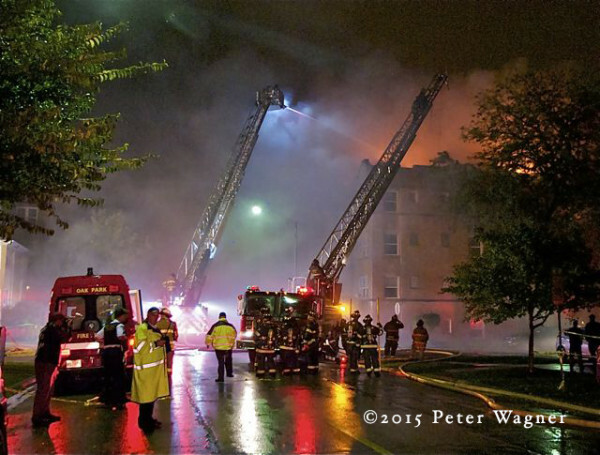 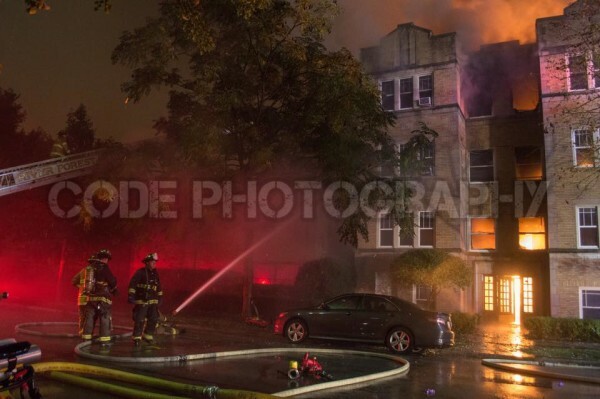 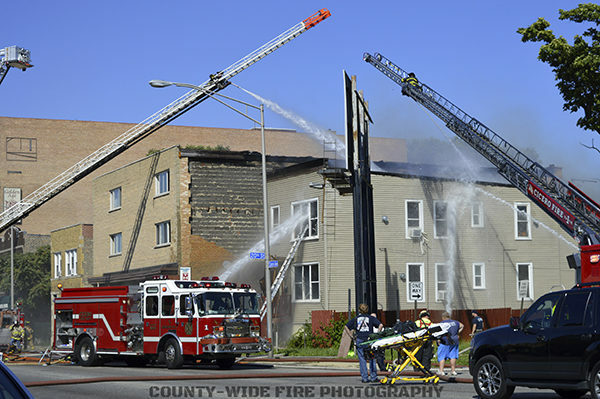 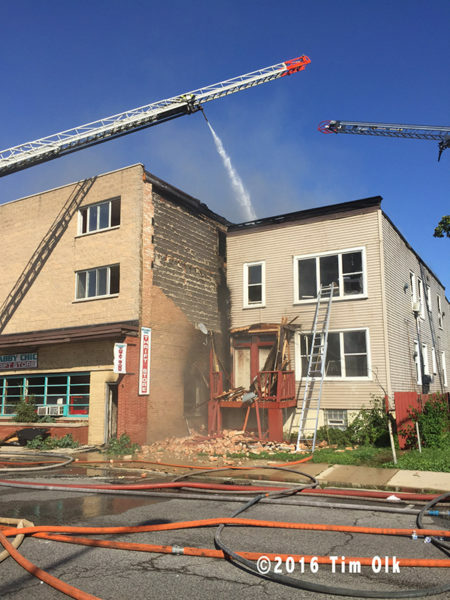 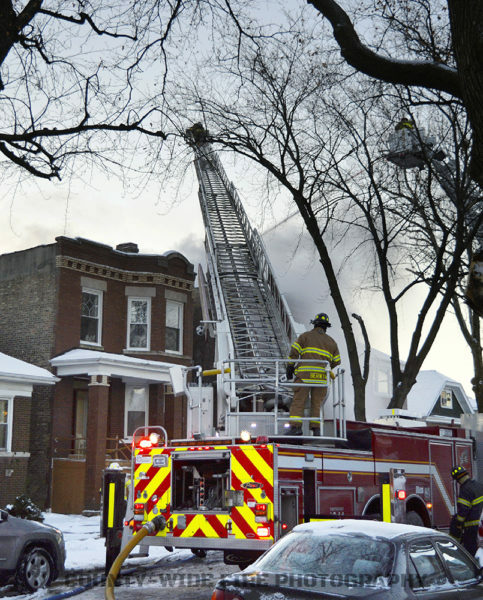 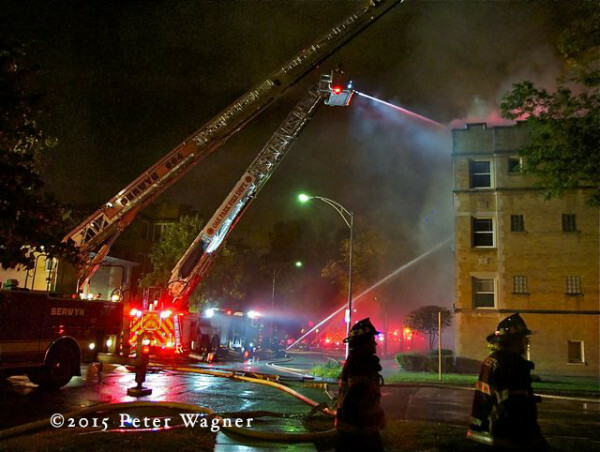 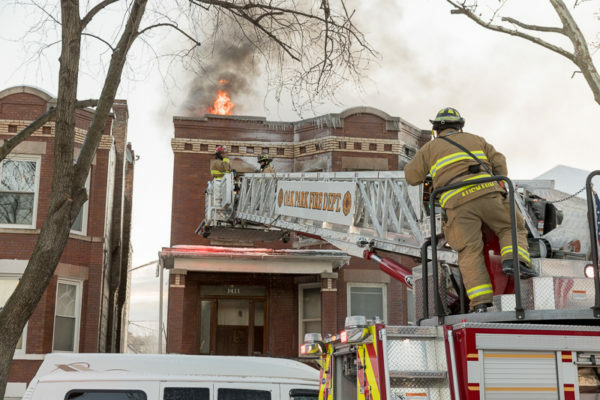 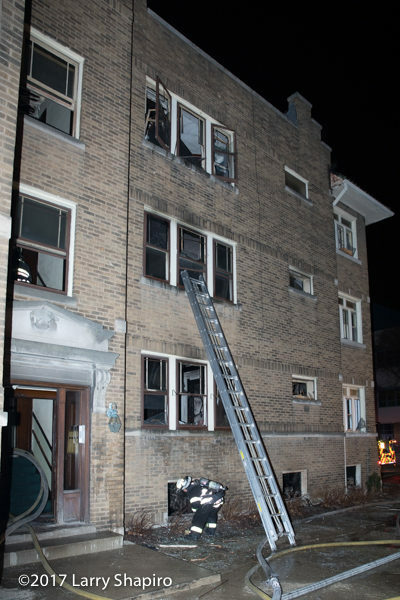 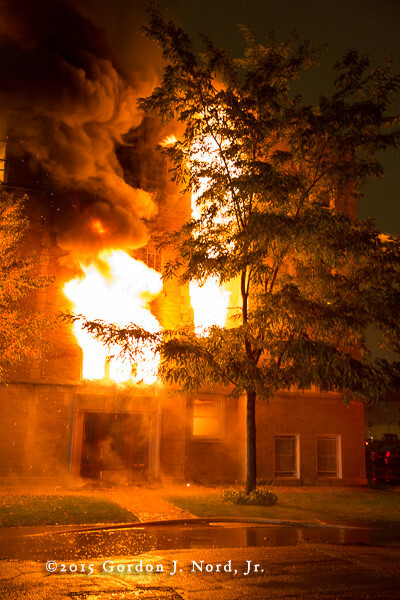 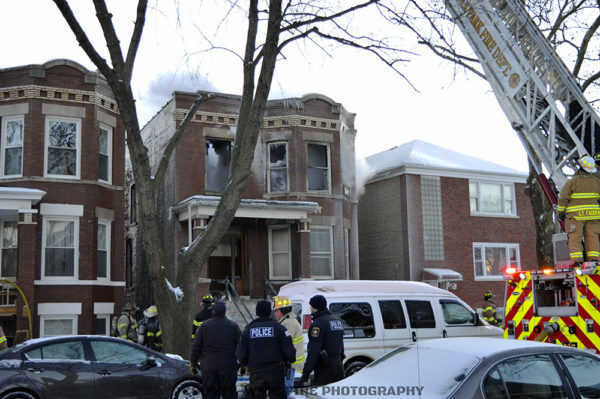 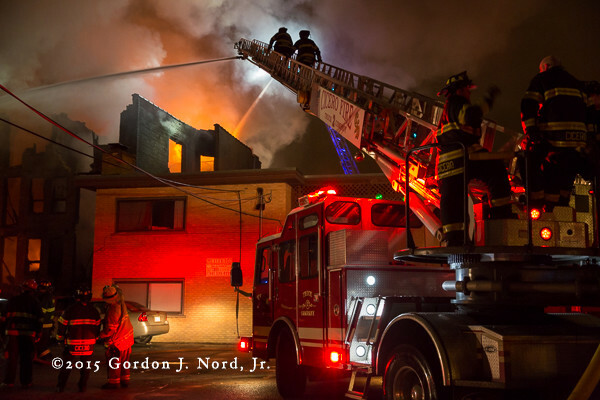 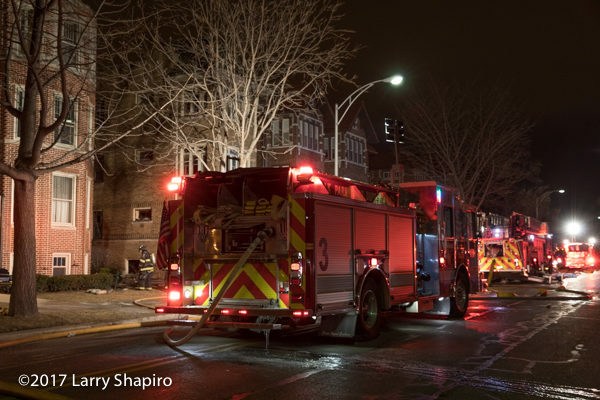 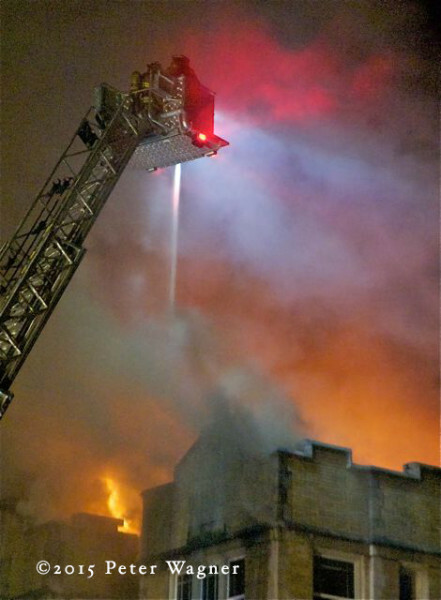 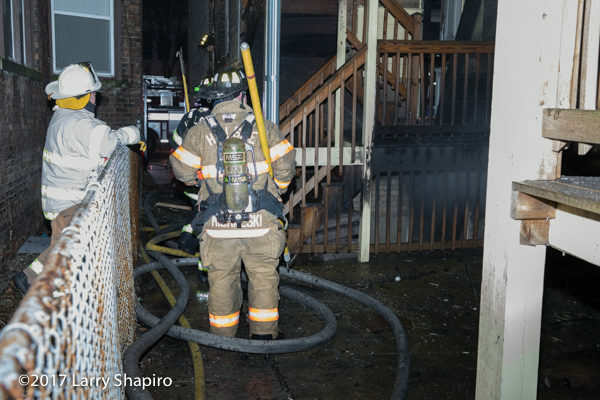 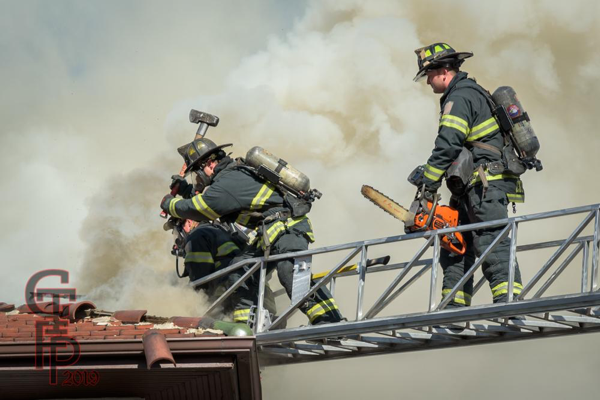 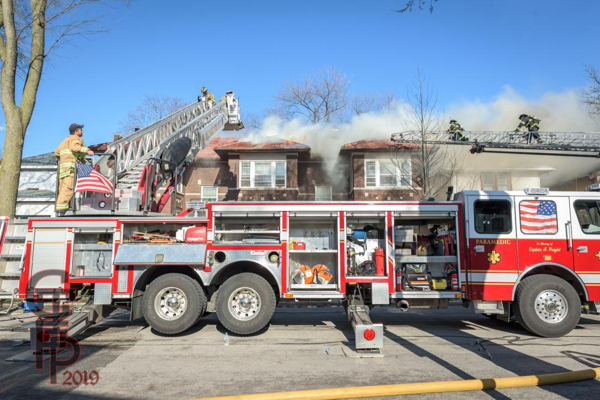 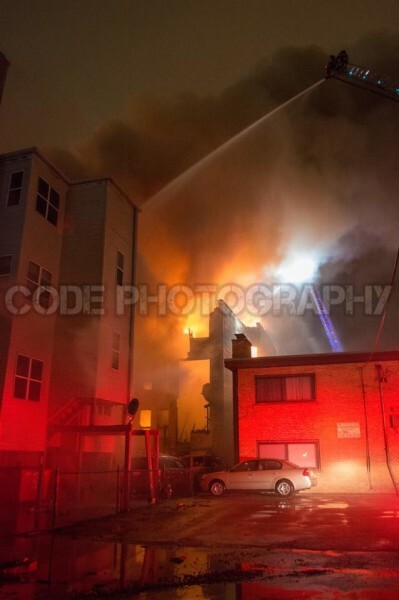 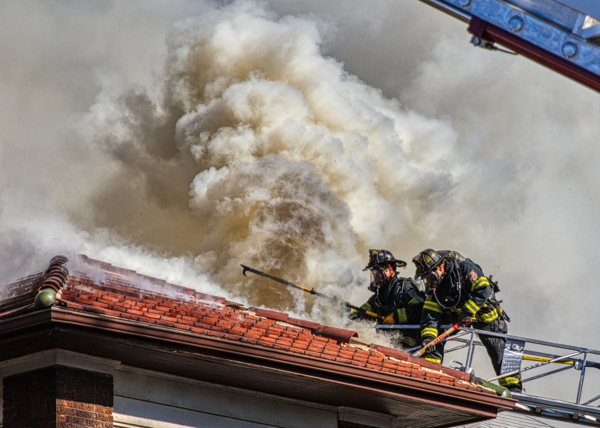 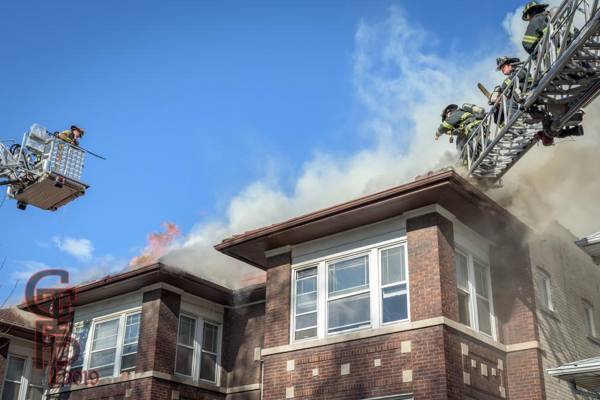 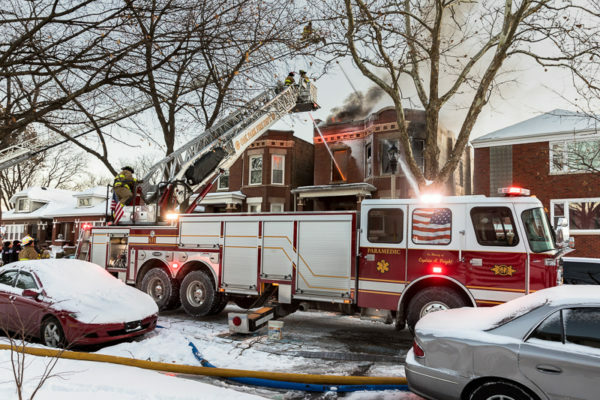 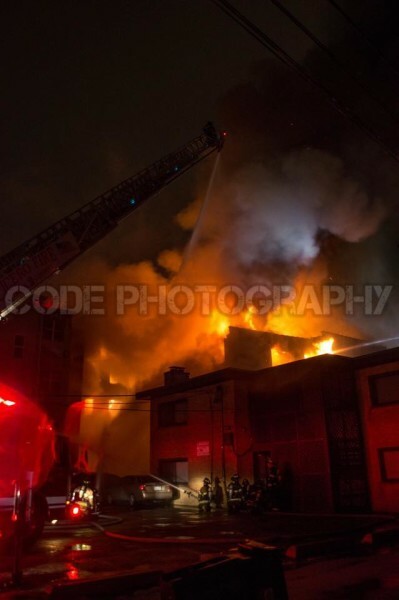 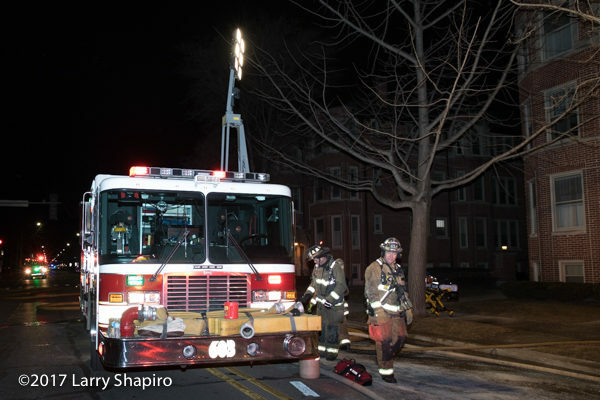 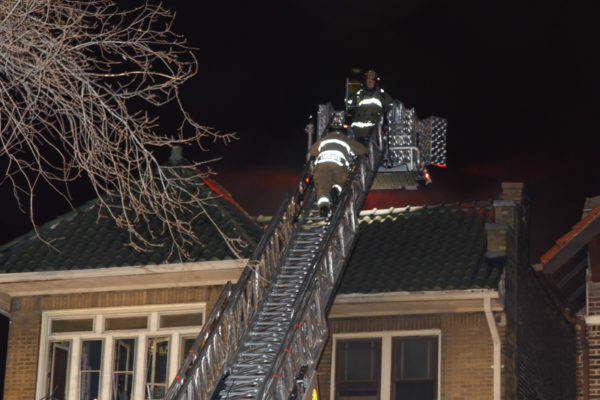 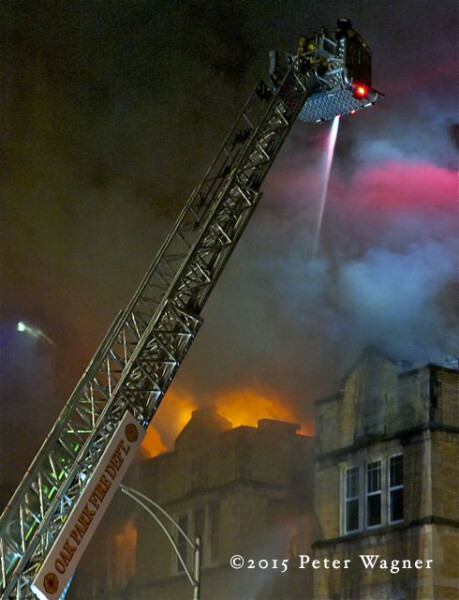 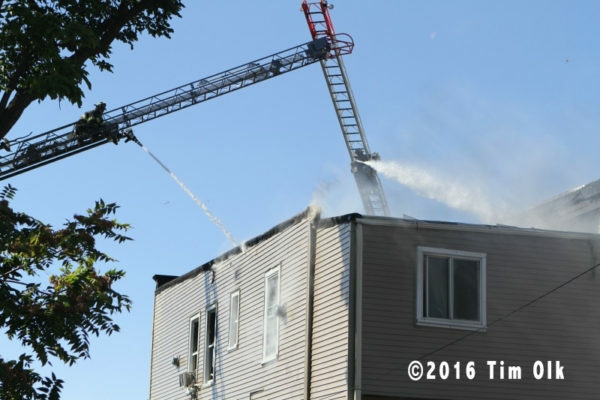 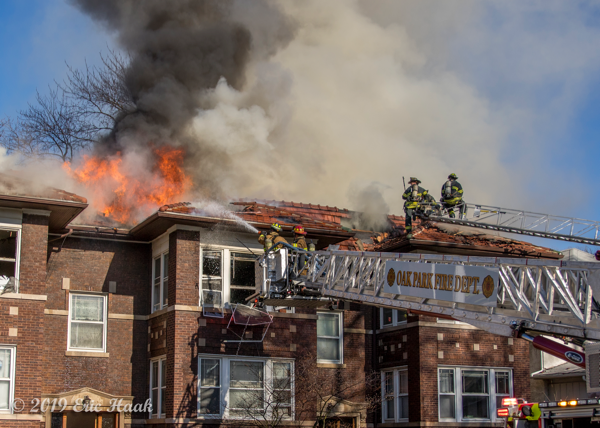 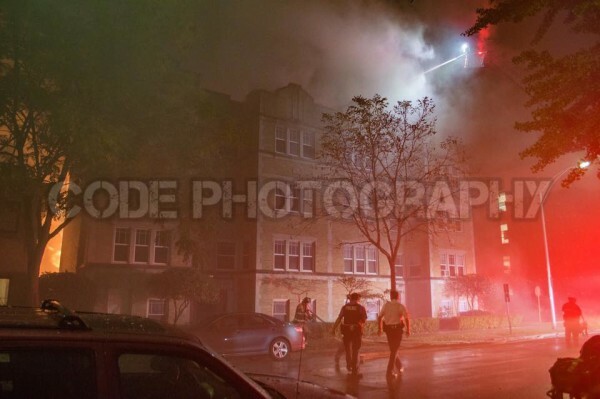 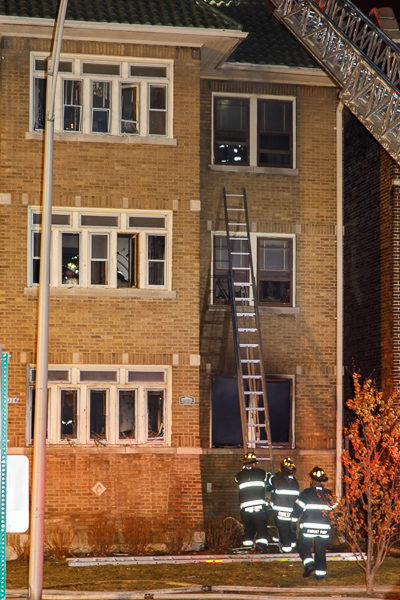 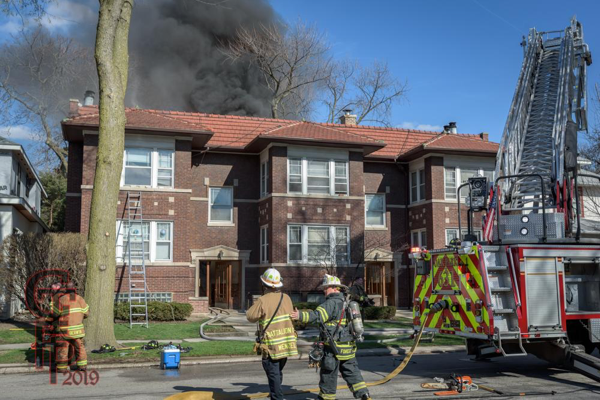 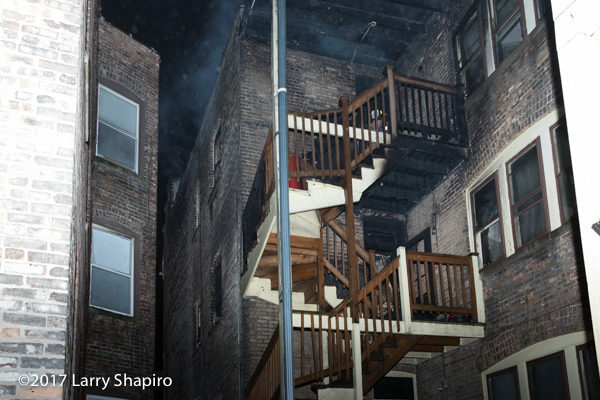 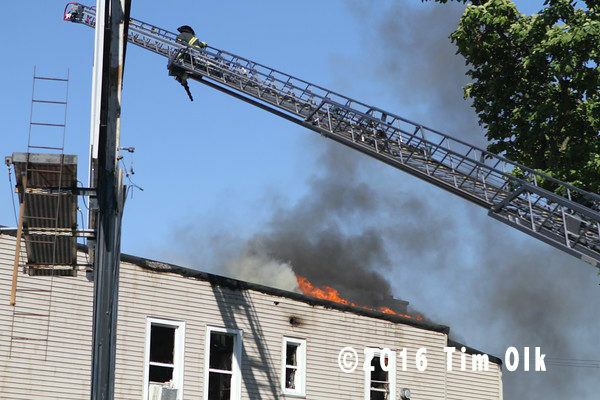 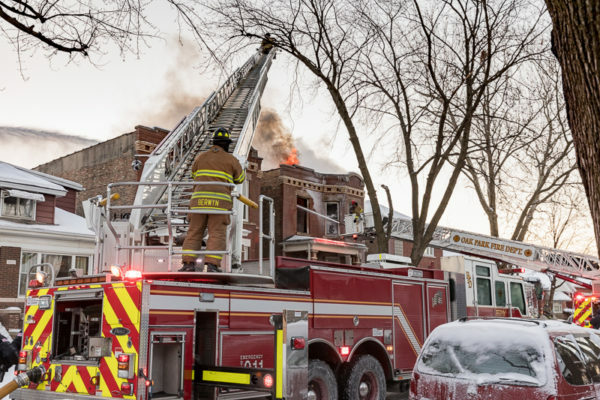 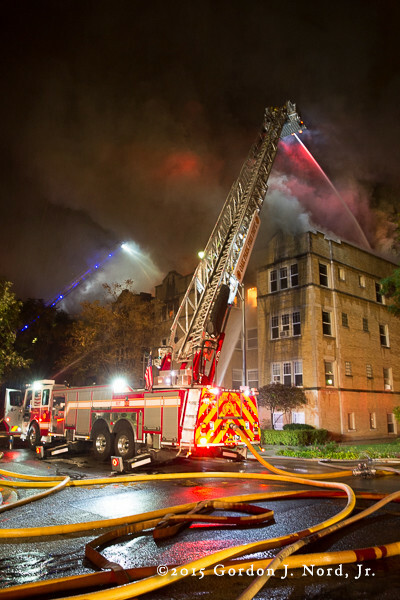 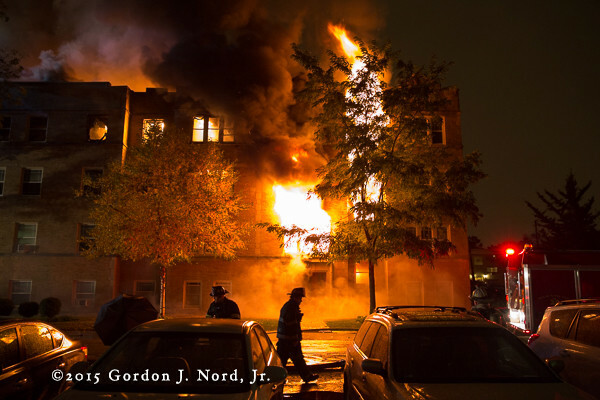 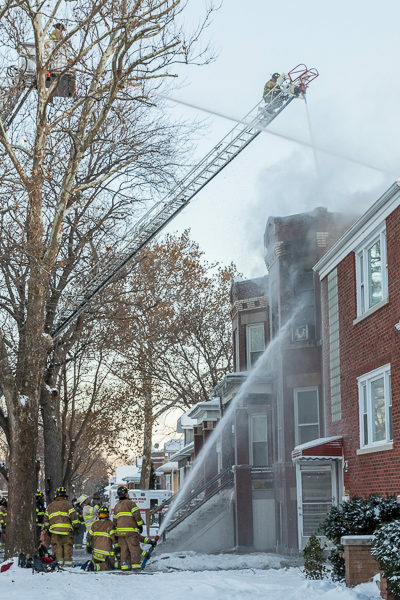 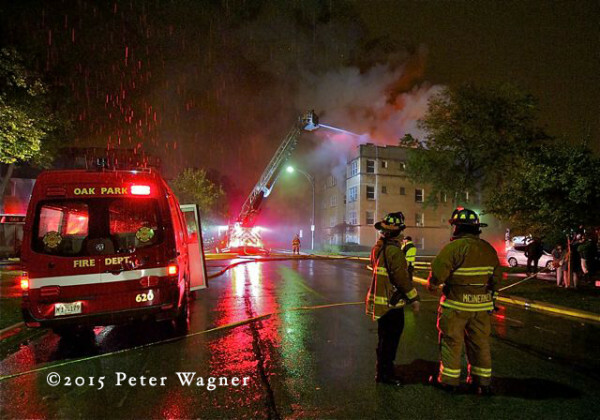 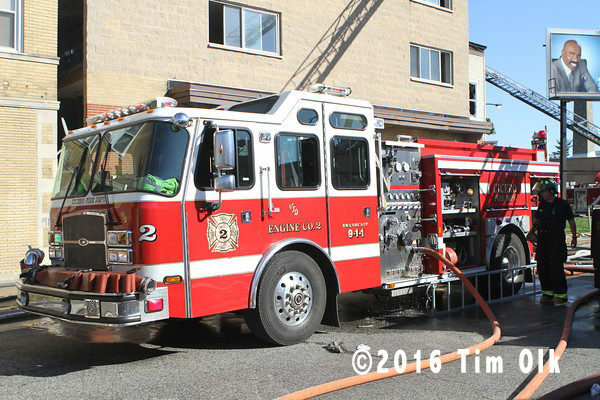 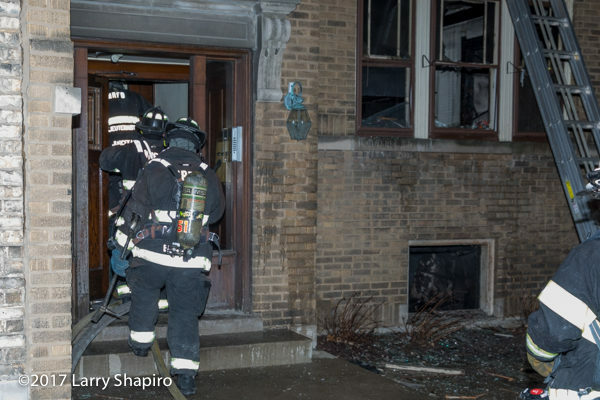 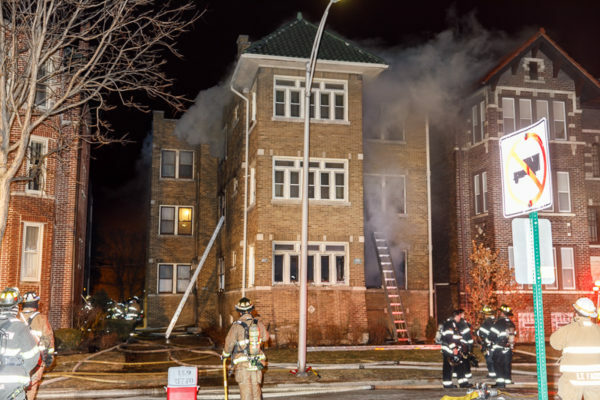 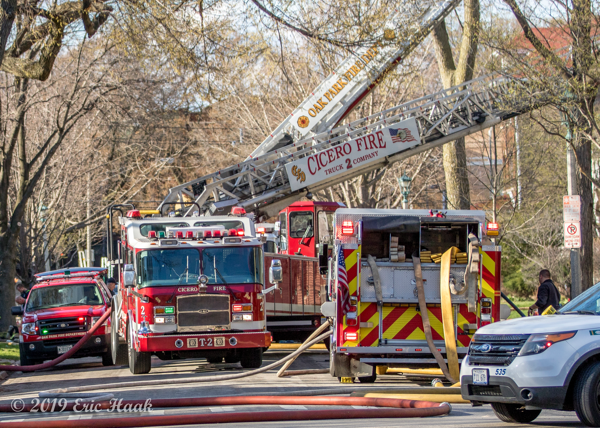 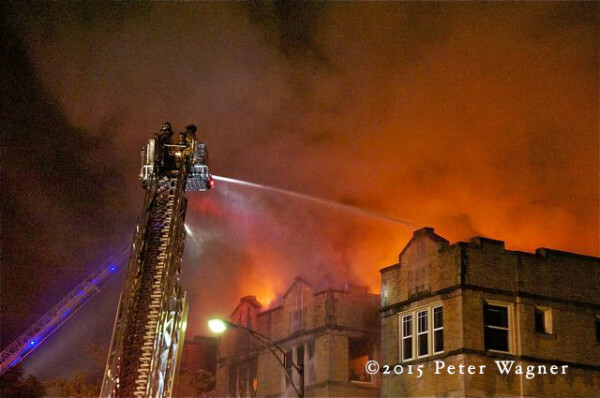 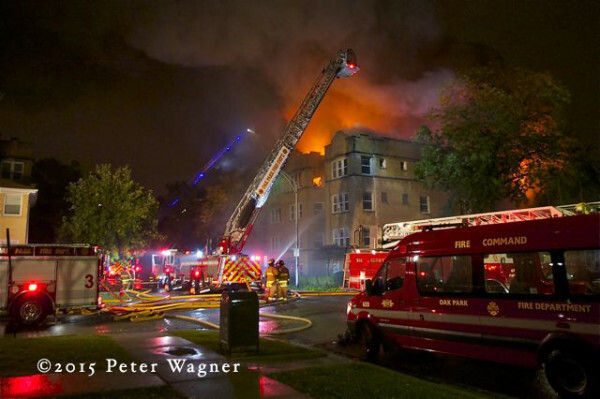 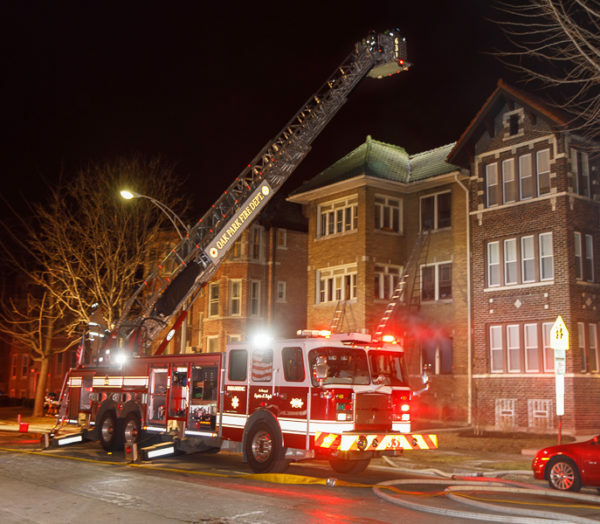 Here are some photos and a video of the 4-Alarm apartment fire in Oak Park, IL last week. 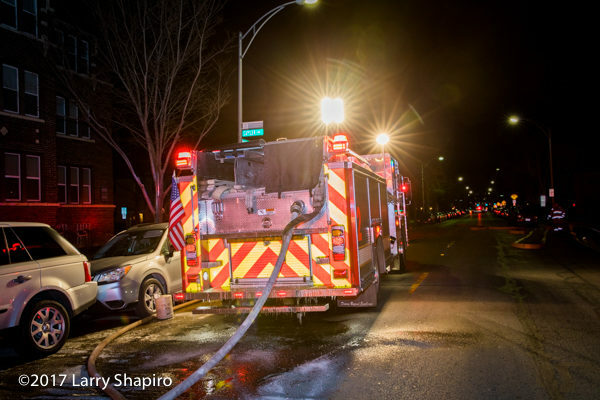 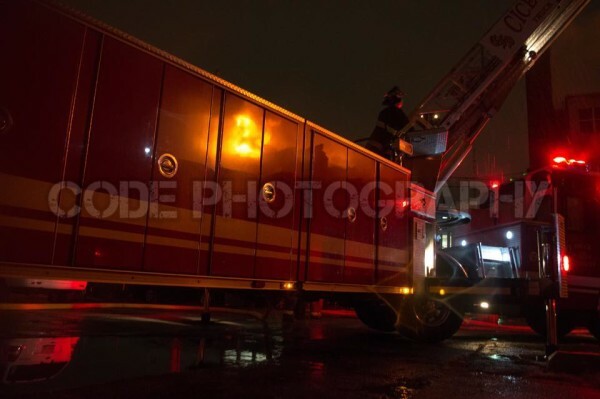 On 10-20-15 around 9:30PM Oak Park 620 pulled up on a 4-story apartment complex with fire blowing out the roof and requested a box alarm shortly after. 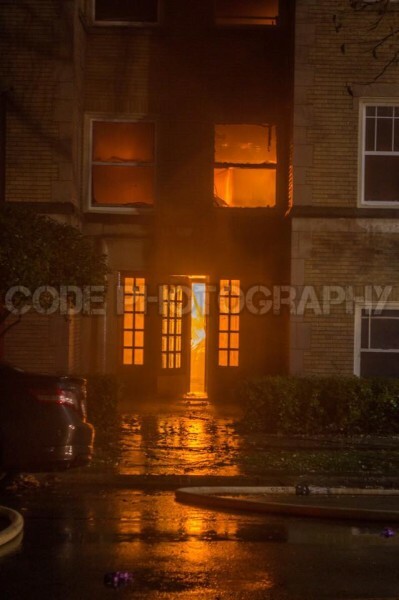 Companies initiated an interior attack but were having water issues and had to pull out due to the fire volume being greater than the water volume. 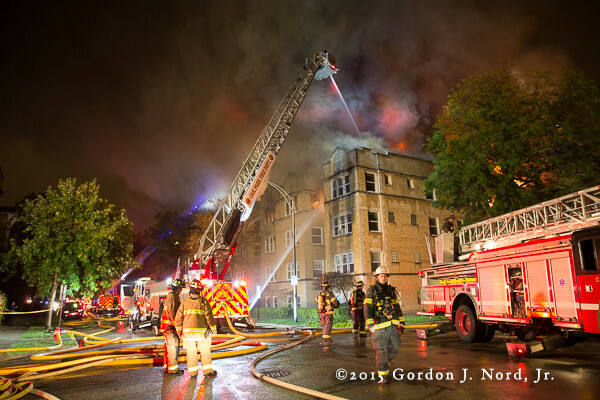 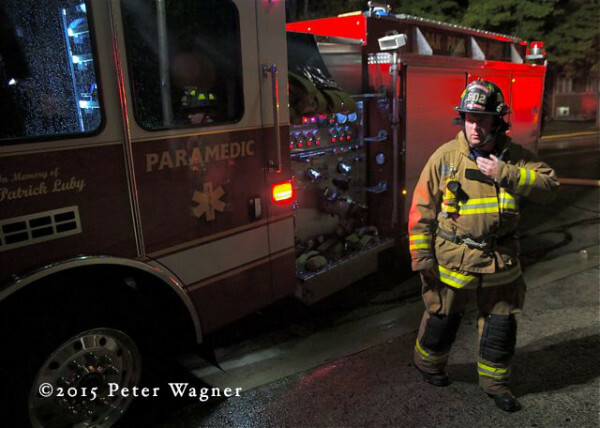 620 requested a 2nd alarm and started to put truck companies, aerials, and master streams to work. 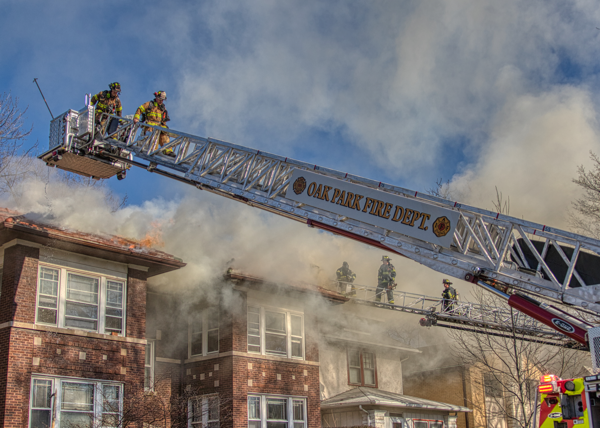 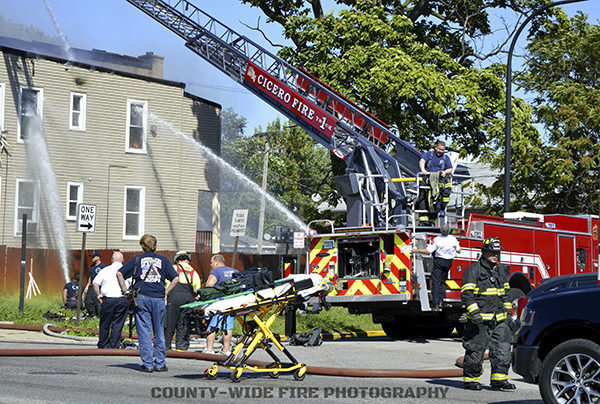 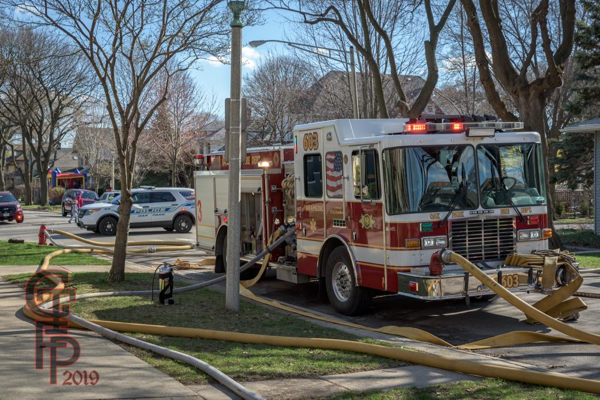 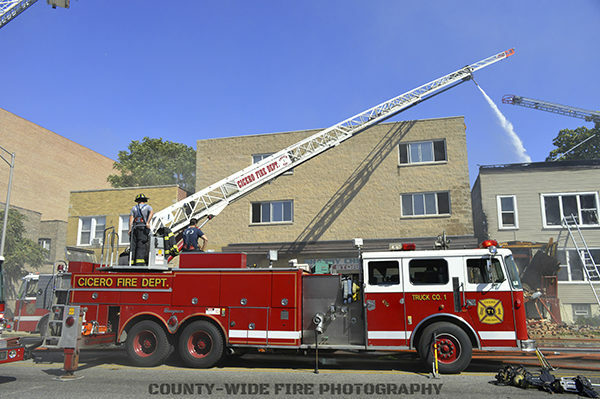 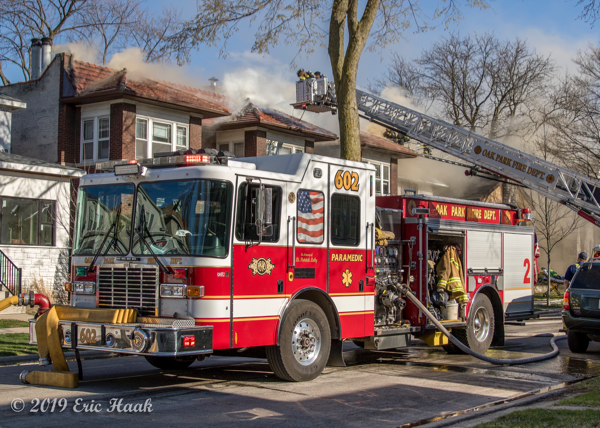 Oak Park 631 was positioned on side A, River Forest 219 was on the A/B corner, Cicero Truck 2 was on the C side, Berwyn 904 was on the D side, and Chicago truck 29 was on the A/D corner working with water flowing. 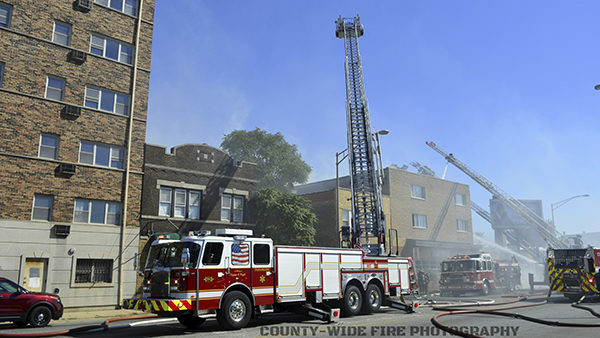 Companies had exposure problems on the C side, the original building had fire on all four floors. 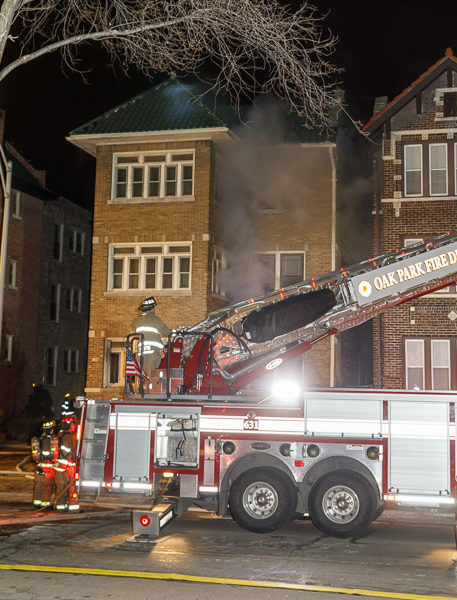 The Oak Park Fire Department (IL) had a 4-Alarm fire in a four-story apartment building at 267 Washington Boulevard shortly before 10PM (10/20/15).